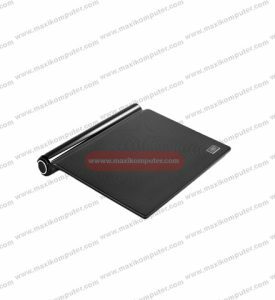 Sleek design with shinning material, it allows optimal airflow through the panel to cool the laptop effectively. M5 FS is not only having 180mm big fan but also the blue LED lights. The blue lights add to the aesthetics of the cooler and catch your eyes. 180mm fan with speed adjustable offers quiet and efficient airflow. You can depend on your requirement to adjust the airflow.